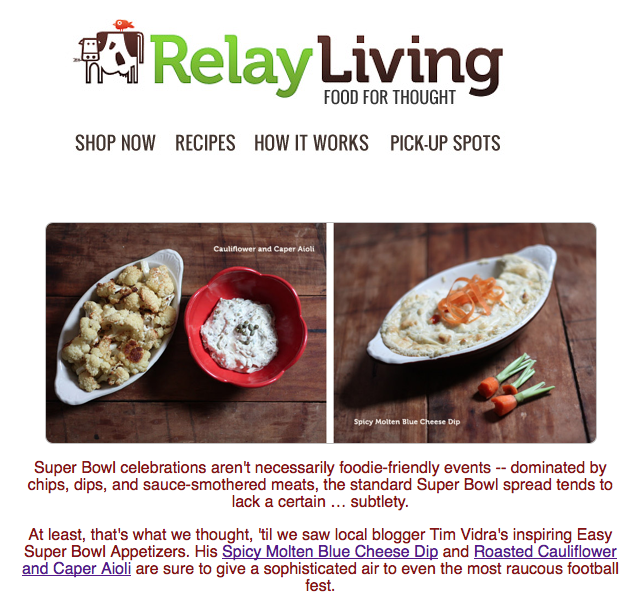 A big thank you to Relay Foods who featured a few of my Super Bowl recipes in their Relay Living newsletter. If you're new to E.A.T. and here from Relay Foods — welcome! Find a few more recipes from the series perfect for your Super Bowl spread including spicy thai chicken wings and sloppy Joe's. It's been a lot of fun putting these together just in time for the big game. I would love to hear if you take on one or all for the big game and what the response was from your hungry crowd.